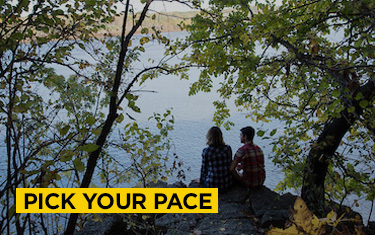 Enjoying life outside of work is a breeze, as the Iowa City area is home to over a thousand acres of pristine parkland with hiking and biking trails as well as many museums, theaters, and sporting opportunities. Downtown Iowa City thrives as the heart of the area, integral to the lives of community members and with far-reaching renown for the authentic character, unique contributions, and opportunities it offers. Our area continues to fuel innovation through research, scholarship, economic development, and a nation-leading support system for entrepreneurs. Nestled along the Iowa River and surrounded by rural rolling hills, Iowa City perennially ranks as one of America’s best places to live. 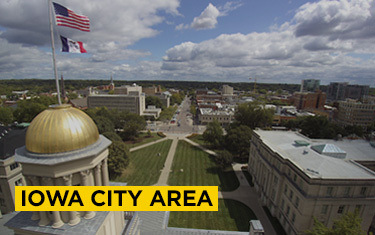 Featuring a college-town atmosphere with big-city cultural richness, the Iowa City area has something for everyone including Big 10 sports and world-class music, literature, dance, and theater. In the Iowa City and Cedar Rapids corridor (ICR IOWA), traffic is measured in terms of rush minutes rather than rush hours. This convenience combined with an attractive cost of living, affordable health care, an excellent education system, and a highly educated workforce is what makes living in our collaborative and supportive community so desirable. The University of Iowa is Iowa’s largest comprehensive research university, with a balanced commitment to the arts, sciences, and humanities. It’s home to one of the nation’s largest academic medical centers and the pioneering Iowa Writers’ Workshop. Innovation thrives as Iowa City continues to ranks as the nation’s top best cities for business and entrepreneurs. 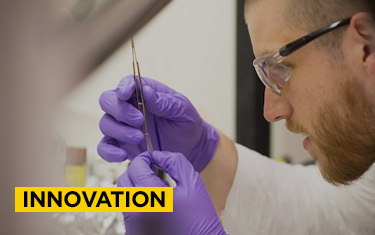 The University of Iowa is a place for great minds to work, grow and thrive. 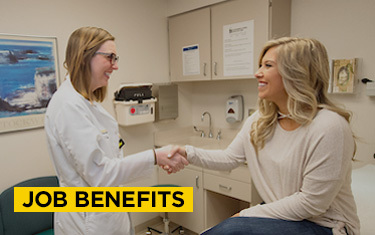 This is why we offer one of the most competitive and comprehensive benefit packages in the Big 10 for all staff with appointments of 50% or more. Health plans, insurance, paid leave, and retirement options are all available. The health and well-being of our faculty, staff, retirees and students is our top priority.